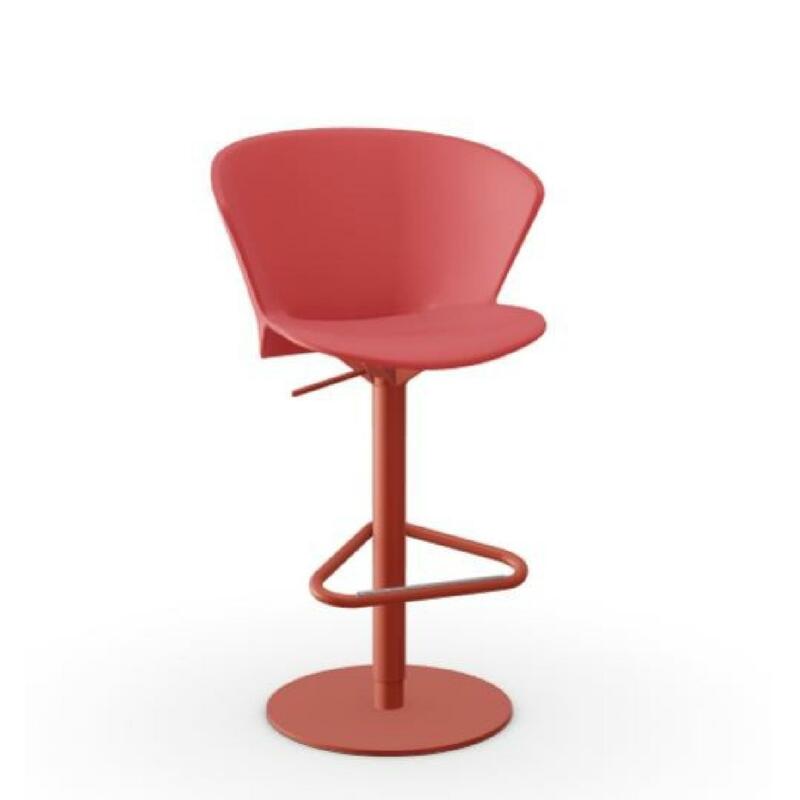 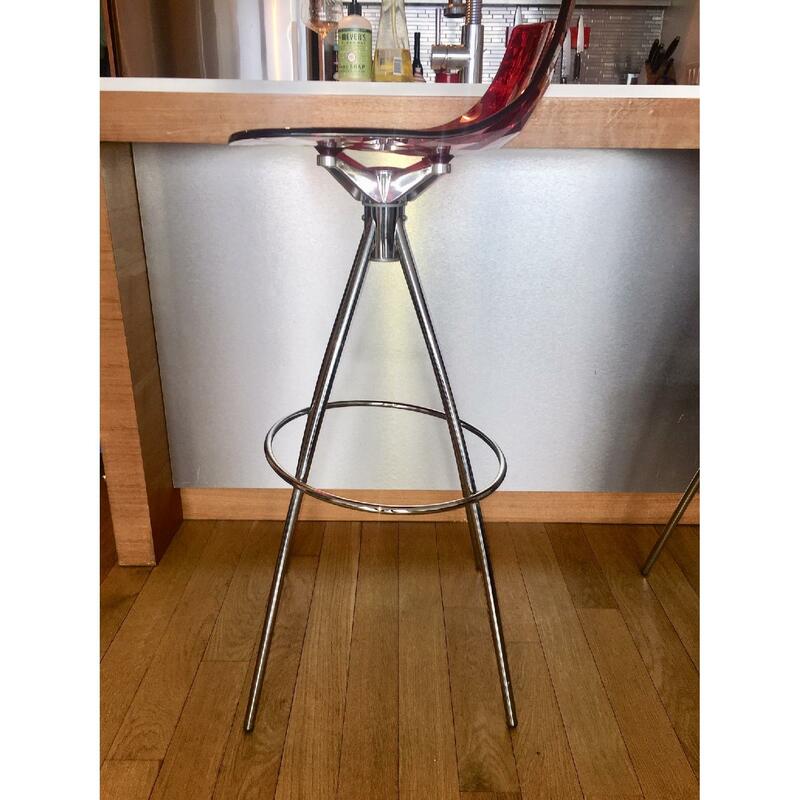 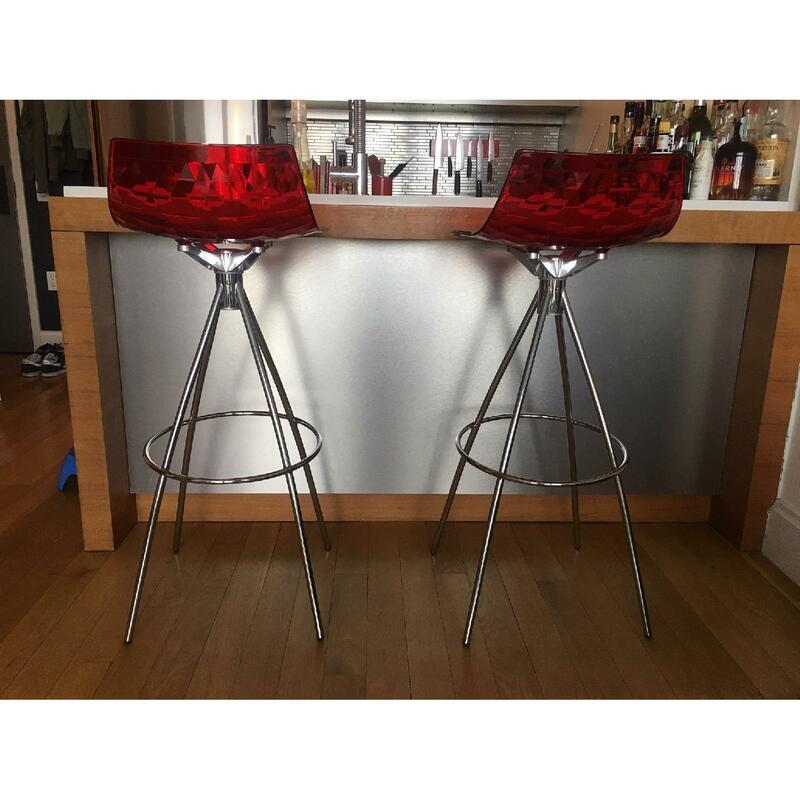 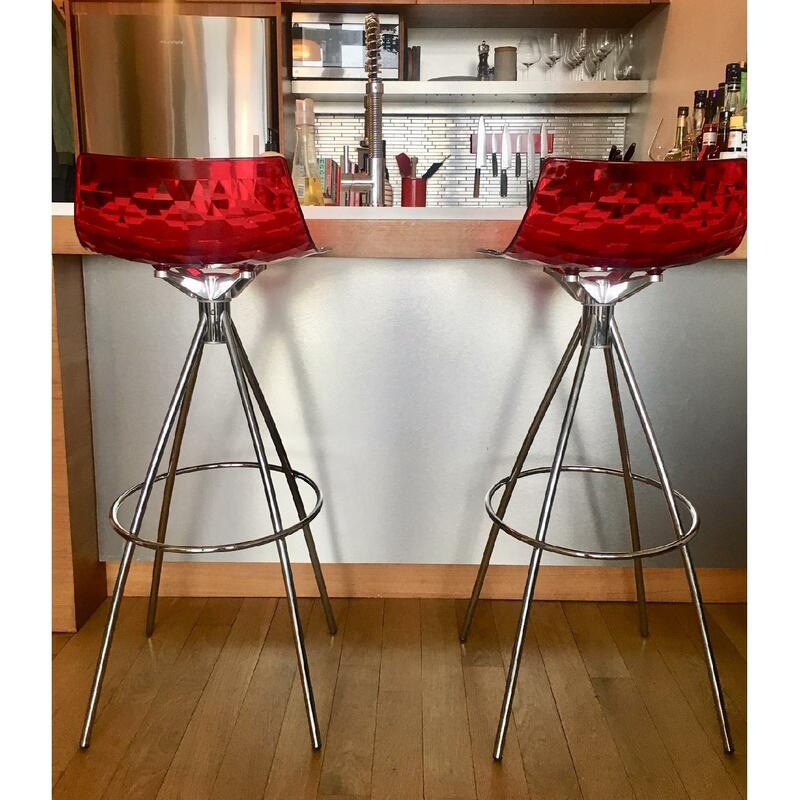 The Connubia Ice Stool makes a cool addition to a contemporary kitchen counter or bar. 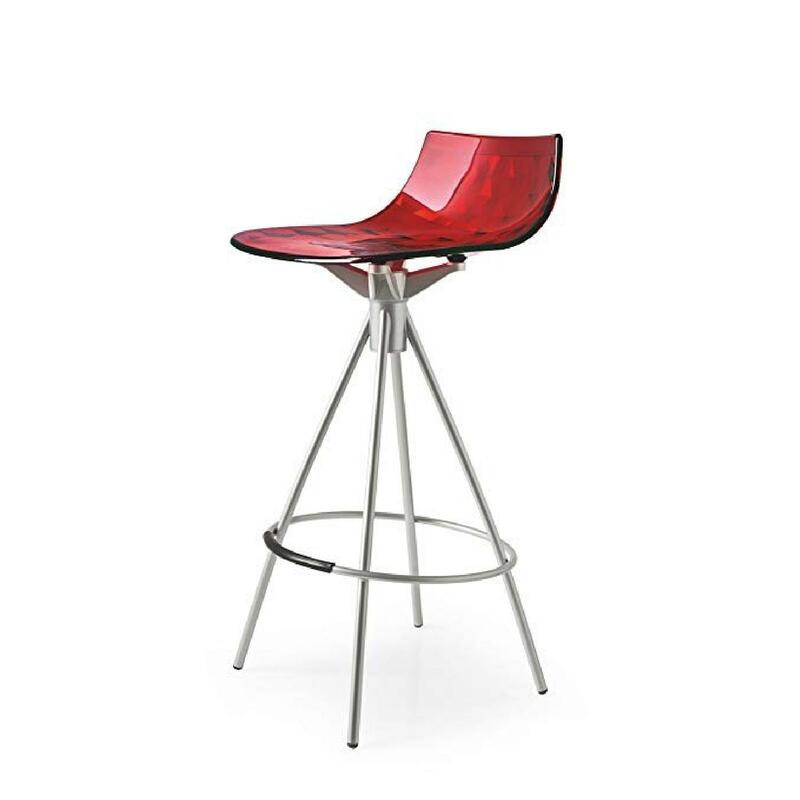 The molded technopolymer seat has an eye-catching diamond pattern on the back that shines like ice crystals. 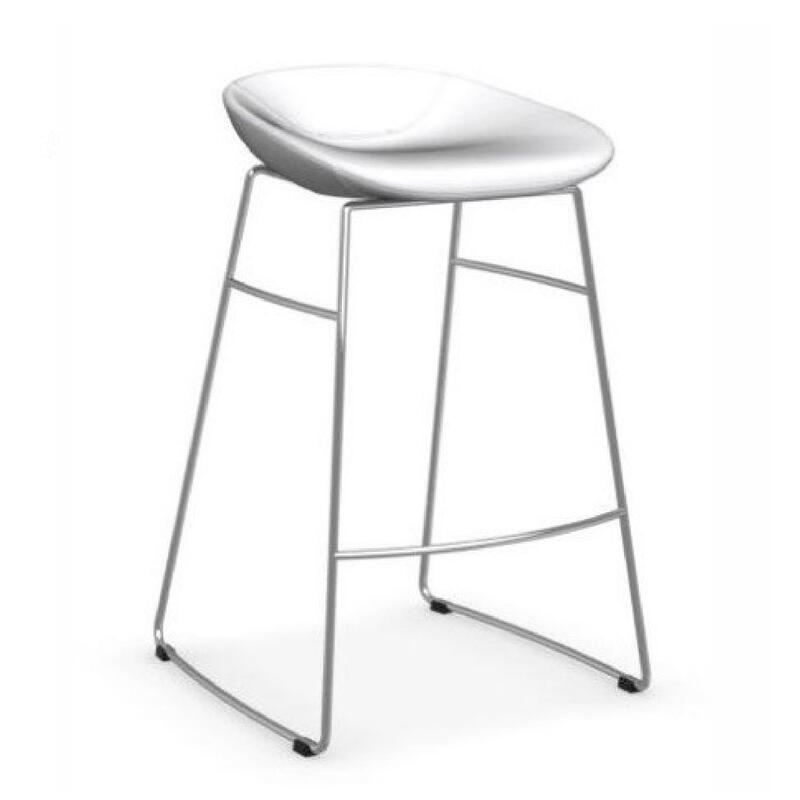 (The front is smooth and comfortably contoured.) 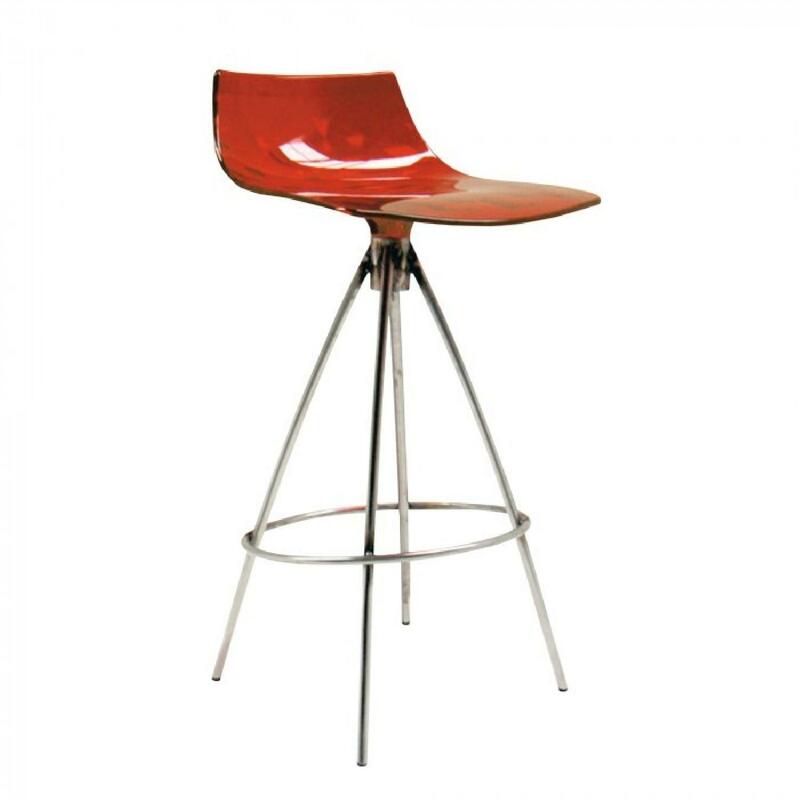 This sparkling seat sits on a 4-star base, it and the footrest made out of thin tubular steel.